In the cartoon hall of fame, one pair of ears towers above the rest—and they belong to Bugs Bunny. He’s won an Academy Award and had his own prime-time TV show. He rose from the ranks of supporting players (in Porky’s Hare Hunt) to become a full-fledged star (in A Wild Hare) in just two years’ time and has been on top ever since. Bugs Bunny’s versatility is a hallmark of his career. He’s equally adept with physical comedy (as in the wrestling spoof Bunny Hugged), witty dialogue (sparring with Daffy Duck in Duck! Rabbit, Duck! ), and music (Long-Haired Hare). Of course, Bugs Bunny has had some help over the years—from creative directors and writers and some very compatible co-stars, including Elmer Fudd and Yosemite Sam. I’m sure he would also be the first to acknowledge the invaluable assistance of Mel Blanc. 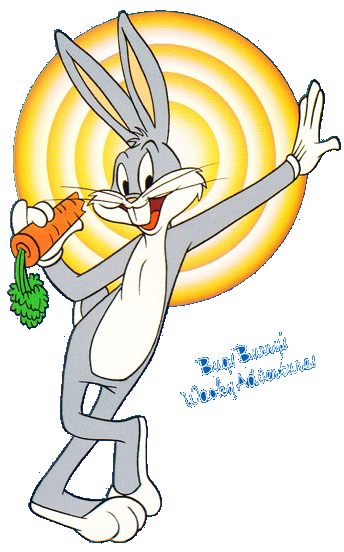 Bugs Bunny isn’t just one of the great cartoon stars of all time; he’s one of the great movie stars. He’s had a career comparable to that of Clark Gable and Humphrey Bogart and is just as well-known around the world. But unlike some of his movie-star contemporaries circa 1940, he hasn’t aged a bit...and he’s just as popular as ever. And that’s the truth, Doc.